The 10 Best Breweries in Kentucky! Kentucky has a wonderful selection of breweries, so many in fact, it’s difficult to choose a favorite. The art of crafting the best beers takes practice, patience and pragmatism. Breweries across Kentucky have been perfecting this art, using sophisticated techniques and fashioning new and inventive flavors. Here are the 10 best breweries in the state. West Sixth Brewing is one of the finest breweries in Kentucky. With over 15 different beers to choose from, with the West Sixth Brewing label, this brewery has a steady fan base. If you want flagship, year-round, seasonal, limited release or bottled craft beer then this is your place. Located in Lexington, Kentucky, this brewery is a neighborhood favorite as well as a corporate sponsor for many local events in Kentucky. Akin to Magic Hat, West Sixth Brewing, has created a well-formulated variety of great beers that are unique to Kentucky. Blue Stallion Brewing Co. in Lexington, Kentucky, has one of the most-beautiful setups of any brewery you will find, crafting some really delicious beers for its patrons. This brewery is located on third street on the corner of north Broadway in Lexington. Known for its British and German beers, Blue Stallion is in the business to make a name for itself by recreating classics. The brewery itself is a large warehouse with a distillery, bar, restaurant and outside picnic table area—so you can enjoy yourself while having a great beer in downtown Lexington. Bowling Green’s White Squirrel Brewery is a small-batch brewery with an often-rotating selection on tap. The name of the brewery comes from the school in which all three founders attended, Western Kentucky University in Bowling Green, which has a large population of white squirrels. Year-round options include a pale ale, Kolsch-style and nut brown ale. And when you’re hungry? There is a restaurant on-site with menu options ranging from a black bean and sweet corn burger to duck confit nachos. “The garage is the mother of invention. And around here, we respect our mothers.” This statement reflects on the birth of Braxton Brewing, which began in the Union, Kentucky, family garage of Evan Rouse when he was just 16 years-old. This is where the love of brewing began. You’ll love the vibe at Covington’s Braxton Brewing Company. Year-round brews include “Storm,” a delicious golden cream ale, “Revamp,” an India pale ale IPA, “Twisted Bit,” a Dortmunder lager, and “Dead Blow,” a tropical stout. While Rooster Brewing in Paris, Kentucky, is a smaller, local brewery, it makes some of the best craft beers in Kentucky. Rooster Brewing prides itself with bourbon-aged barrels that give their beers the best of both worlds, when it comes to craft beer. In the heart of Bourbon County, you can see why Rooster Brews would want to do such a thing as make beer in bourbon barrels. Not to mention, they have the friendliest patrons in the city. Rock House Brewing located just off of Loudon Avenue in Lexington, Kentucky, is a new brewery that has established itself as a crowd favorite. Rock House has a cozy bar in front of its large warehouse, where it chooses the finest ingredients to make its beer. When you come to Rock House you will enjoy the atmosphere on the Northside of Lexington, while you take a tour of their facilities in the back of the bar area. Their Rock House Double Kick Drum Double IPA has a whopping 7.88 percent alcohol content. If you’re in the mood for something less dramatic try the Rock House Groupie Cream Ale with five percent alcohol content with a smooth texture. Everyone in Kentucky knows about Country Boy Brewing. The brewery became fast-friends with the Lexington community upon its opening in 2012. In the last five years, Country Boy has established itself with its Cougar Bait and Shotgun Wedding beers. Sold locally, Country Boy, maintains the right composition to give the fans what they love consistently. Cumberland Brew located in the Highlands area of Louisville, Kentucky, has long been a great brewery. You can always find people huddled into the bar & restaurant enjoying their homebrews of every season. The atmosphere is always entertaining. The food and drink are part of the main components of this success. Cumberland Brews Meade beer is some of the finest beer available on the market as well. Ethereal Brewing was way ahead of its time, in regards to finding the best real estate to open its doors. Located in the up-and-coming Pepper Distillery District in Lexington, Kentucky, Ethereal Brewing solidified its belonging by creating great microbrews. 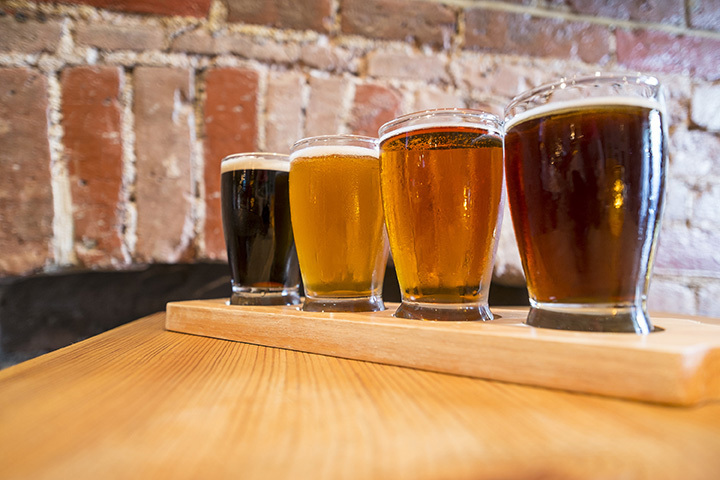 This brewery has 20 or so different beers to try, in the style of American and Belgian taste. If you find yourself with a taste for an eclectic selection of perfect flavors, come to check out Ethereal Brewing. Although Mirror Twin on National Avenue in Lexington, Kentucky, is a newer brewery, it feels like they’ve been around for a long, long time. Mirror Twin got its name from the identical twin brothers, whom started the brand, home brewing beer dreaming of their own place. Like the twin brothers, Mirror Twin, chose to create beers with the exact same ingredients having changed only one ingredient to make different beers. View more Kentucky Breweries and Brew Pubs.